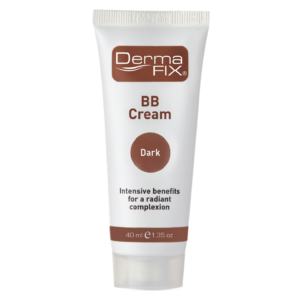 The DermaFix BB Cream Corrective Coverage range is formulated to provide 4-in-1 benefits to variety of skin care concerns and skin tones. How do DermaFix corrective coverage products work? Camouflage and colour correct the skin’s tone. 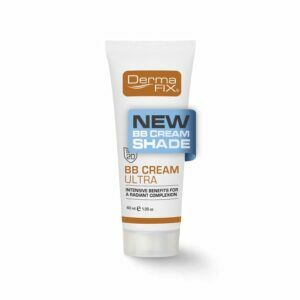 BB Creams may be used as a last step in your existing skin care routine, added in for further skin care benefit, or alternatively may be used on their own. DO YOU KNOW WHAT TO LOOK FOR IN A BB CREAM? Beauty Balms or BB Creams were originally developed as a perfect post-procedure cream used to treat, hydrate, prime, protect and camouflage the skin. They should be indicated for all skin types including those with sensitive skin. These versatile “four-in-one” formulas should be designed to do it all. BB Creams treat with high levels of active skin care ingredients, moisturise and smooth dehydrated skin, prime and perfect the skin’s surface. They should also be formulated to camouflage and colour correct the skin tone. WHY USE DERMAFIX CORRECTIVE COVERAGE? 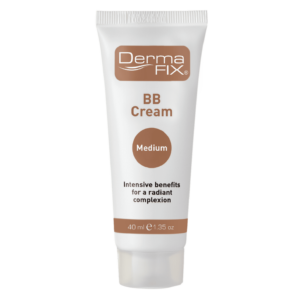 DermaFix BB Creams are lightweight, all-in-one formulations which even out skin tone and illuminate a dull complexion. They can be worn alone as an anti-ageing foundation or over a serum for added benefits. 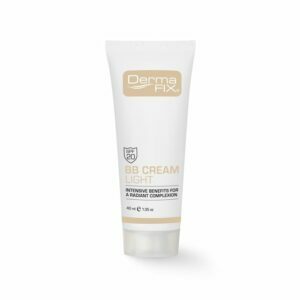 The active ingredients found in the DermaFix BB Creams, Vitamin E and Soy Peptides, offer powerful Antioxidant and Anti-Ageing benefits resulting in a smooth and flawless looking skin. In addition to the DermaFix Serums one can apply an appropriate serum before the application of the DermaFix BB Creams to prevent free radical attack in the fight against premature ageing. 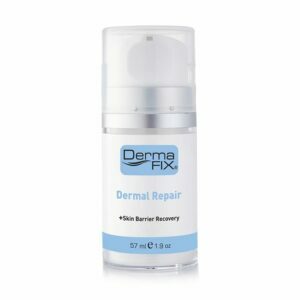 Alternatively DermaFix Dermal Repair can be applied underneath the DermaFix BB Cream’s as a make-up primer offering smooth and radiant looking skin.